Today I’m sharing a card featuring Lawn Fawn “For you, deer” stamps and dies. When I first saw this super cute stamps, I knew I had to buy them. I was looking forward to playing with them, and this weekend I had time to make a card at last. First, I stamped the images on Bristol paper using Versafine Onyx black ink. The scarf is from Lawn Fawn “Baaah Humbug” stamp set, the beanie is from Lawn Fawn “Critters in the Artic” stamp set and the little pumpkins are from Mama Elephant “Meowlloween” stamp set. I colored the images with Zig Clean Color Real Brush markers and fussy cut everything, except the bear and the deer wich I die cut with coordinating dies. Next, I used Tim Holtz “Bricked” stencil with Fired Brick Distress Ink on a piece of Bristol paper. I love this stencil, the result is amazing. Then, I used Lawn Fawn “Wonderful window” die to die cut two windows and I trim off the shutters of one of them (which is going to be on the inside of the card). I used my craft knife to cut a slightly smaller opening than the window outer edge on the card base, on the front panel and on a piece of Lawn Fawn pattern paper from “Beachside” paper collection. I adhered the front panel and the pattern paper panel to the card base. Next, I glued the windows to the front and to the inside of the card. I blended Tattered Rose Distress Ink on a piece of Bristol paper and used Lawn Fawn “Stitched scalloped borders” dies to make a scalloped rectangle. Then, I glued the deer and the bear and added the scarf and the beanie to them. On the inside of the card, their little paws were to far from the bottom of the card, so I made a kind of bench for them to stand up and peek through the window using Lawn Fawn “Let’s roll” stamps. Last, to make the floor I stamped Lawn Fawn “Woodgrain backdrops” stamp with Pumice Stone Distress Ink and colored over it with a light gray marker. I stamped the sentiment from Lawn Fawn “Ready, set, shake” stamp set using Versafine Onyx black ink and heat embossed it using clear embossing powder. Then, I colored it with a gold gel pen. I used Lawn Fawn “Grassy border” on a piece of white cardstock and used alcohol markers to make the grass I glued it under the window. Then, I added the pumpkins and the pile of leaves I made using Mama Elephant “Birch trees” dies. I also added some scattered leaves on the front of the card. Last, I added some Wink of Stella to the scarf and the beanie and added some detail to the eyes and the snouts using a Sakura Glaze black pen. It took quite a long time to make this card because I couldn’t stop adding things, but I love the result and I hope you like it too! 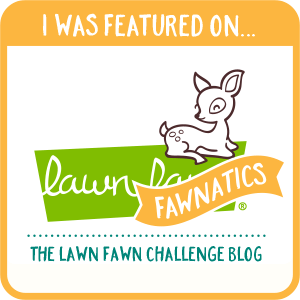 I’m entering this card into Lawn Fawnatics Challenge #12: Create a scene! 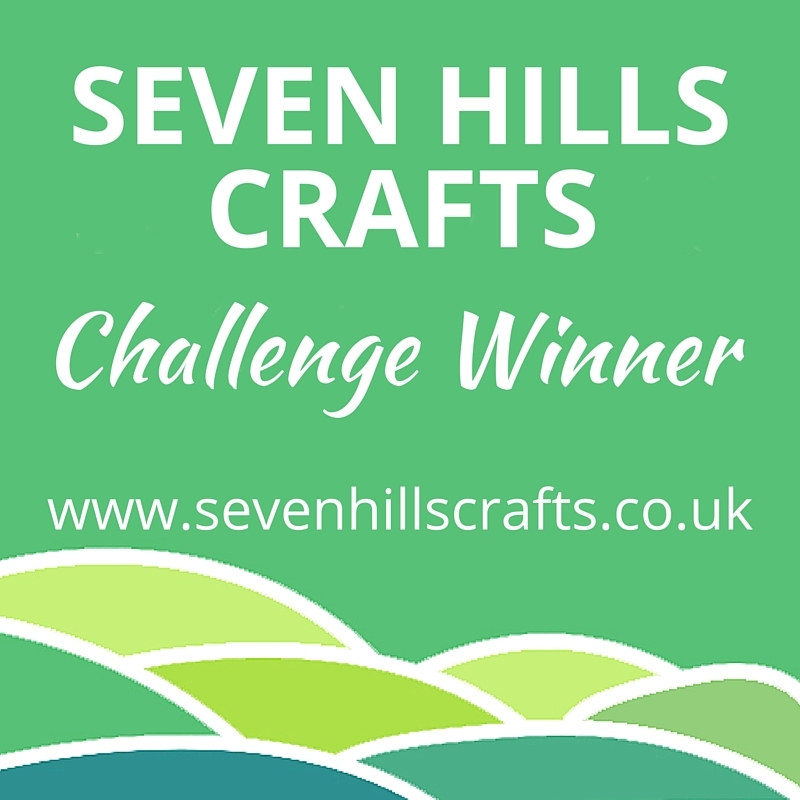 into Seven Hills Crafts Monthly Craft Challenge: Spotlight it! Next Article Happy Birthday, Birka! this card actually made me smile!! just bought this die and I will definetly try this out!!! 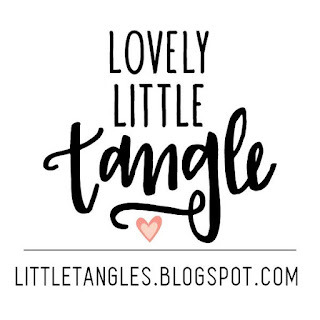 so so so in love with this!! hope you win!! or get selected to be one of the highlighted cards!!! you deserve it!! lo ve it!!! This clever scene is just too adorable! I love the little critters looking out the window; they are adorable inside and out! 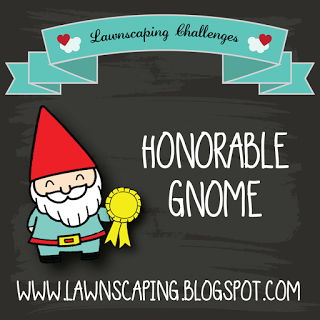 I’m so happy you shared with us at Lawn Fawnatics! Es monísima, ¡me encanta! La idea de usar la tabla de Let’s roll es simplemente genial. ¡Mucha suerte con los challenges!